This may seem so simple, but when it's clever, pretty and connects to mom's coffee, it's a good idea. A morning without coffee does not a good morning make. No one is happy if mom does not get that infusion of caffeine. So, make it a pretty mug and make sure the coffee is brewed when she wakes, M'kay? Thanks. 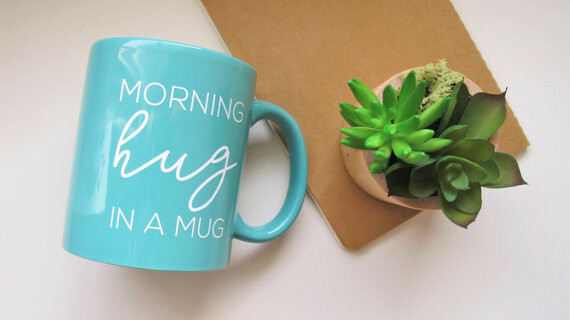 This handmade Morning Hug in a Mug comes from Etsy but you could easily find something with a similar sentiment at your local TJ Maxx or Target. We love the Turqouise to brighten up an early morning. Mom hair. don't care – what we do care about is that indentation that the hair tie causes around our wrist and The Grommet solves this problem. 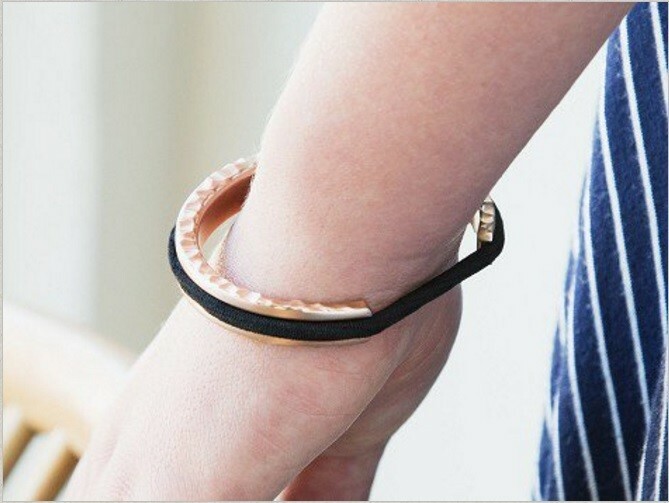 It also does allows you to be fashionable when you want to have a hair tie on you for evenings out. The price is bit steep at $24.95, but if you look at is a piece of jewelry, it makes the price point better. 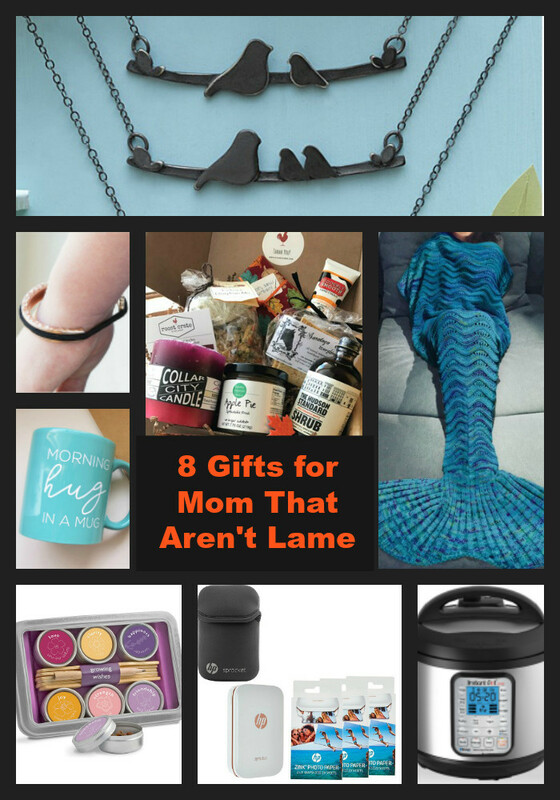 And, it's a gift, you're not buying it anyway, right? 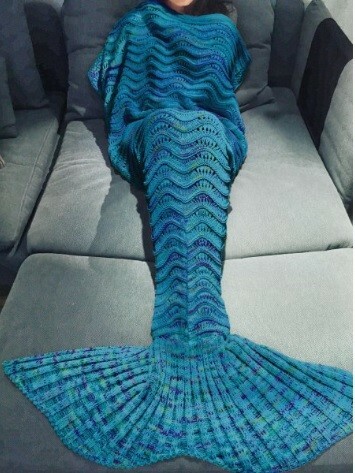 Um, who doesn't need one of these? Yes, please! This one is priced really cheap too. 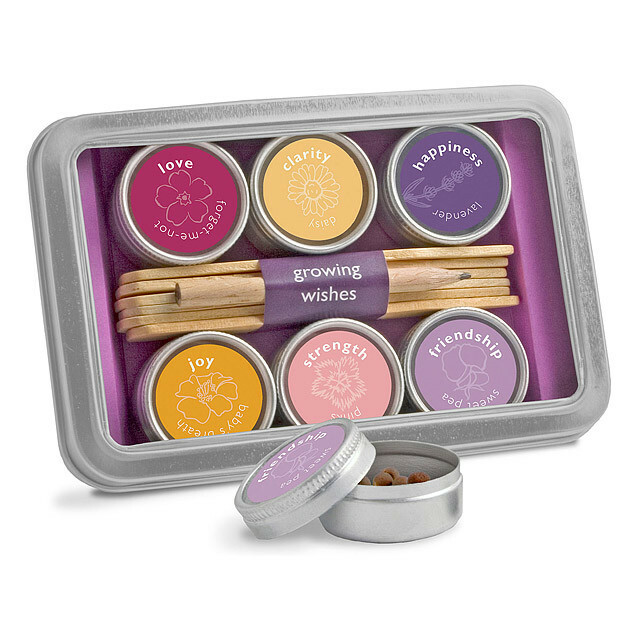 When we saw this Growing Wishes Kit we couldn't pass up the positivity share. It's something mom can do with her kids, on her own or with extended family. Plant wishes at the start of the year centered around the themes of love (forget-me-not), clarity (daisy), happiness (happiness), joy (baby's breath), strength, and friendship (sweet pea) is such a great idea. Definitely one of the best $20 gifts you can get or give to start off your 2017. The Instant Pot is the forgetful mom's saving grace. It's the #epicfail's fail safe. The lazy mom's win for the week. You can cook a piece of frozen meat from the freezer within the hour. Make risotto without fail and throw something together in a matter of minutes when you didn't remember you had guests coming over. It's a win-win gift. The best part? You can keep it simple or go elaborate with your meals and you're still a success with this machine. 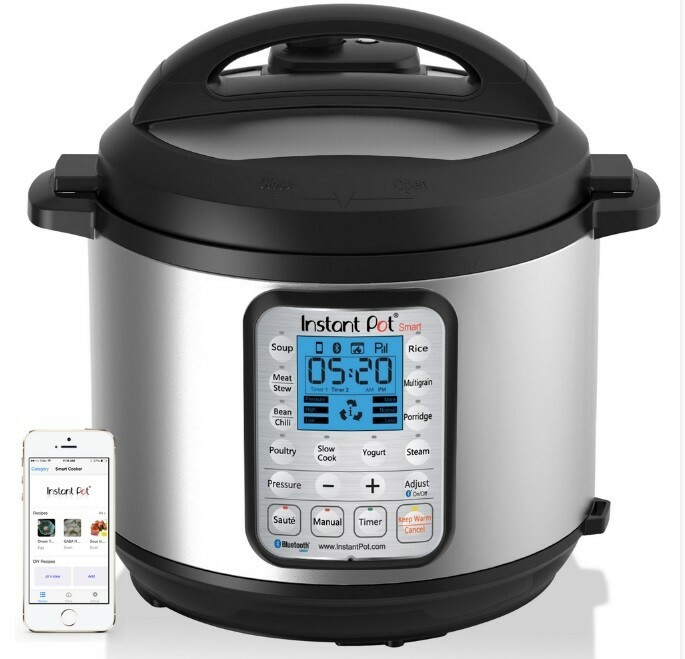 Just remember, Pinterest is your friend for recipes or you can use their Instant Pot App. Amazon is running deals off an on through the holiday season, so keep an eye out if this is of interest to you or a mom in your life. Meeting Grandma for lunch and want to send her off with a recent photo of her favorite grandchild? Have a last minute kid project that requires a few photos? In the need of printing out a photo for a photo gift last minute? 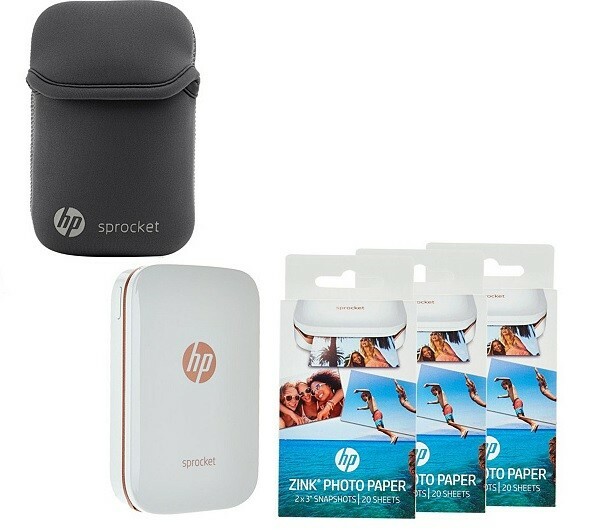 Done deal with the HP Sprocket. And, it fits in your purse. Find it on QVC right now as a bundle and they break it down into smaller payment options. A piece of jewlery that represents a mother and her children is always a win. 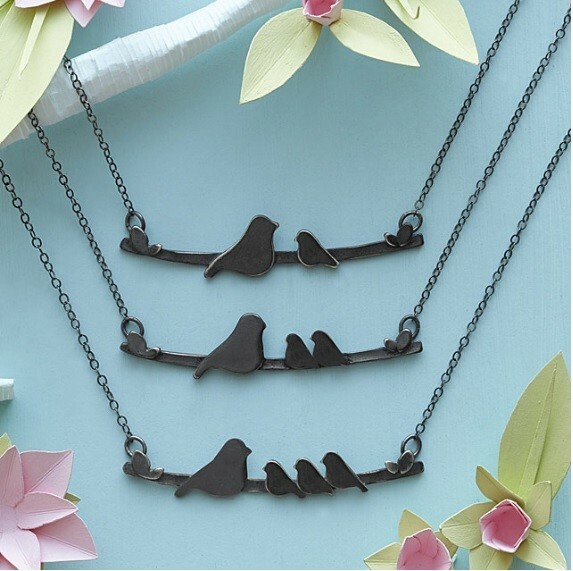 This nestling birds necklace from Uncommon Goods is a super sweet option. 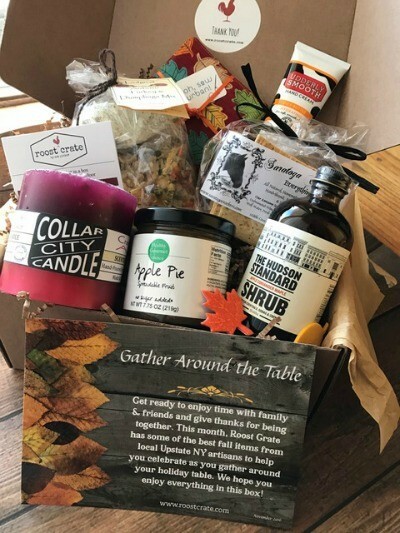 A subscription box for the first few months (or all year long) is a great way to treat your favorite mom. Roost Crate is the perfect gift for a mom in your life that loves perusing farmer's markets but never finds the time. Every month the box comes jam packed with artisinal finds and goodies. The best part is it's a small business out of Upstate New York owned by a fellow mom, and we love that.